When it comes to convenience, electric scooters are unmatched. They do not require much skill, muscle effort, or storage space. You also don’t need to have a driving license and think about fuel. And most importantly, if you require a transport for short trips, you will certainly appreciate the cost efficiency of scooters. 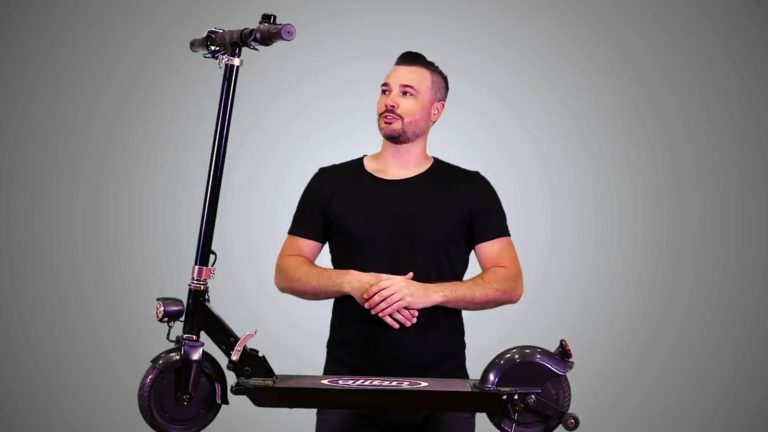 If an electric scooter is a thing that you are looking for, then our Glion Dolly Review will definitely be useful for you! 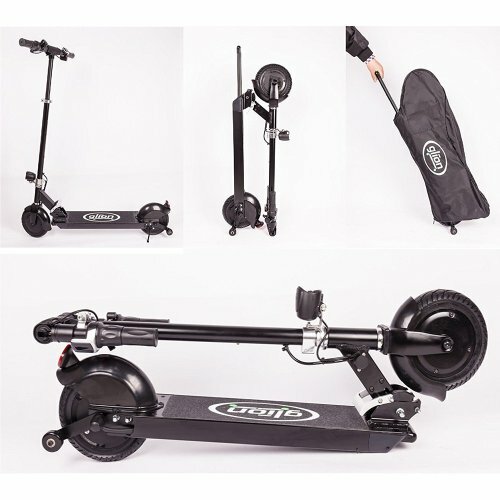 Glion Dolly Electric Scooter is an excellent machine that is highly praised by its buyers, and maybe you’ll like it too! 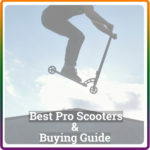 However, before you make the final choice, let us guide you through all the upsides and downsides of this electric scooter! The Ultimate Foldable Lightweight Adult Electric Scooter: Glion Dolly Review In 2018! So, Lets find out! 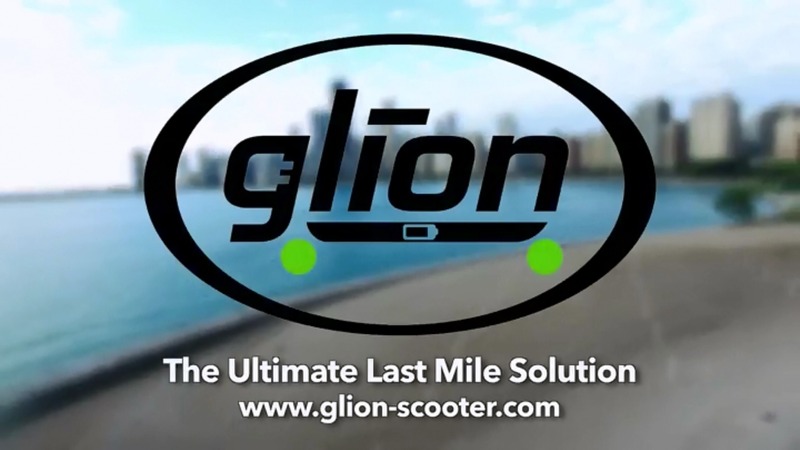 Why Glion Dolly is Best Scooter in 2018 and what features make it so popular in around the world. And now we are starting Glion Dolly Review with the features of it. Glion Dolly electric scooter features a quite powerful 250-watt electric motor, which operates on a Sony NMC36V, 6.6ahLi-Ion 18650-cell battery. lion includes a charger with this scooter, which fully charges the battery in 3.25 hours. With an average adult rider, this electric scooter is capable of going at a maximum speed of 15 mph and a max range of 15miles– quite good numbers, mind you. However, braking, using the headlamp, the weight of the rider, and other similar factors could drain the battery more and decrease the actual range of the scooter. The acceleration on this electric scooter is controlled via the right twist handle. The accelerator works pretty smoothly and precisely, allowing you to ride as fast as you need. However, when you twist the right handle, it takes about a second until the motor reacts. It’s quite typical for electric motors though, so you will have to get used to it. 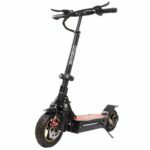 Remarkably, the frame of Glion Dolly electric scooter is made from aircraft-grade powder-coated aluminum, which is corrosion-resistant and durable yet quite lightweight. 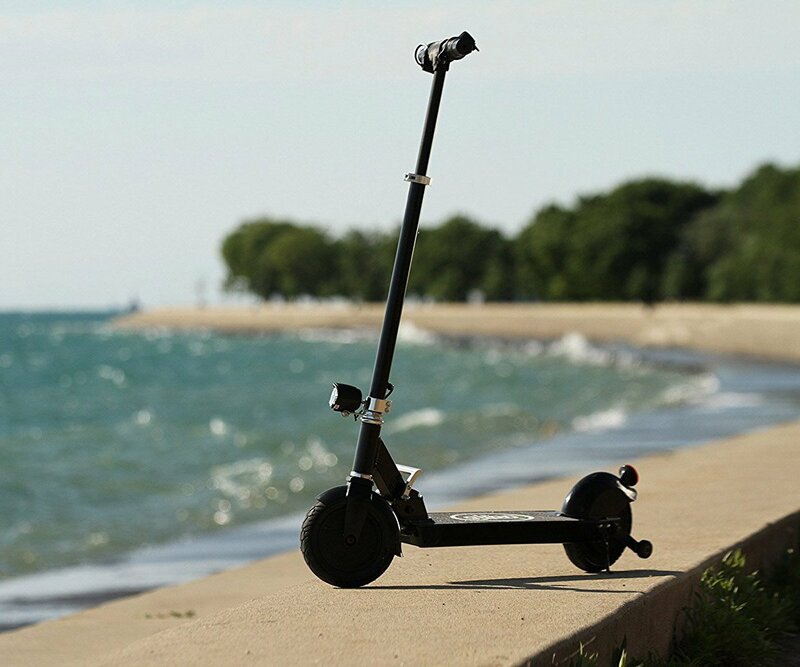 The sturdy frame of the scooter can support riders weighing up to255 pounds. 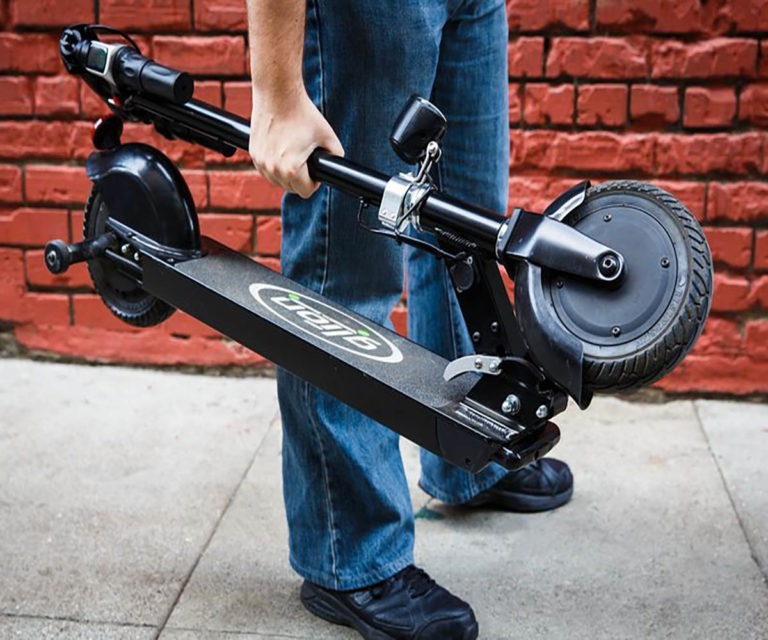 The adjustable handle makes this scooter easily adaptable for riders of different height. And the scooter also has a retractable kickstand to keep the scooter upright when you are away. The 8-inch tires of this scooter feature a honeycomb interior that makes them highly durable. Apart from that, the tires aren’t pneumatic, so they won’t go flat after facing sharp objects on the ground. An excellent benefit of the tires is their curved profile. 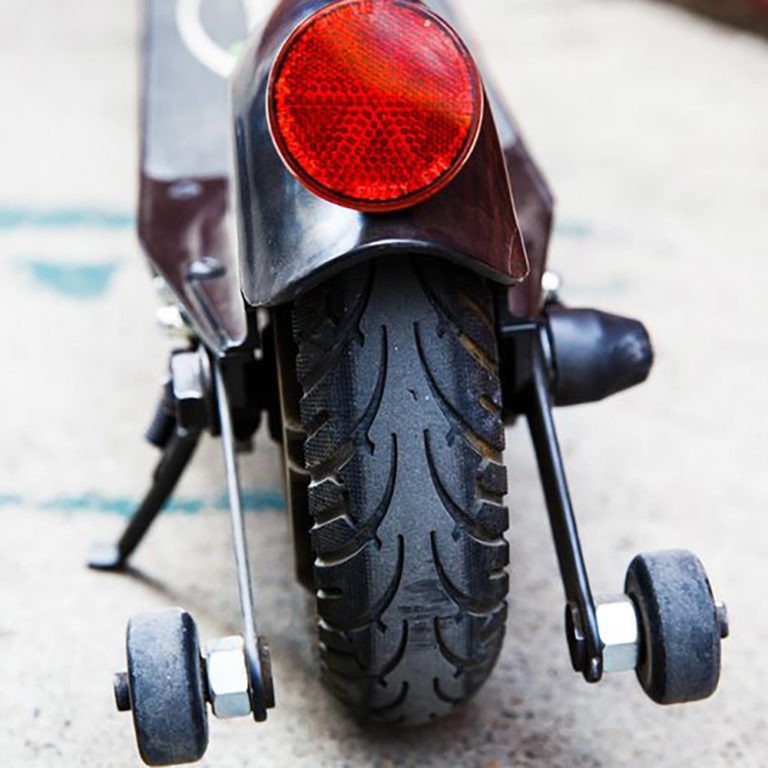 Typically, the profile of electric scooters’ tires is close to that of automotive tires, making tilting the scooter to the side while turning very difficult. The curved profile of Glion Dolly’s tires allows you to comfortably tilt the scooter left and right for easier turning. Glion Dolly scooter features an electronic brake engaged by the left twisting handle of the scooter. The brake is pretty powerful and reliable, and given that the speed of the scooter won’t be that high in the first place, it will allow you to quickly come to a stop. Bear in mind that the brake is powered by the battery, meaning that the more you brake, the more you will drain the battery. It doesn’t really make sense why Glion decided to install a twist brake control instead of regular pull brakes. Many users complain that the braking power can’t be adjusted by the twist handle: it is either 0 or 100%, which makes the twist controls impractical. Keep in mind that the brake works only when the scooter is on. If you, for example, run out of battery when going downhill, you won’t be able to brake. Maybe the most remarkable feature of Glion Dolly electric scooter is that it can be folded down for more convenient transport and storage. To fold down the scooter, you just need to push down the lever located on the stem and then fold the handlebar down onto the deck. The handles could also be folded down so they don’t stick out during transport. To unfold the scooter, you just need to pull up the handlebar until you hear a clicking sound. There are two ways to carry Glion Dolly scooter when it is folded. The first option is to hold it by the handlebar to carry it like a suitcase. Alternatively, you could pull out the retractable handle from the front of the deck, put the rear wheel down on the ground, and the scooter behind you. The latter option will be exceptionally useful for those who can’t carry the weight of the scooter. Glion Dolly scooter is equipped with a headlamp activated by the button on the right handle. It’s fairly bright but not bright enough to illuminate things far in front. Still, it could allow those in front of you to notice you approaching. The right handles of this scooter features a display showing the battery level, whereas the left handle has a pedestrian bell. 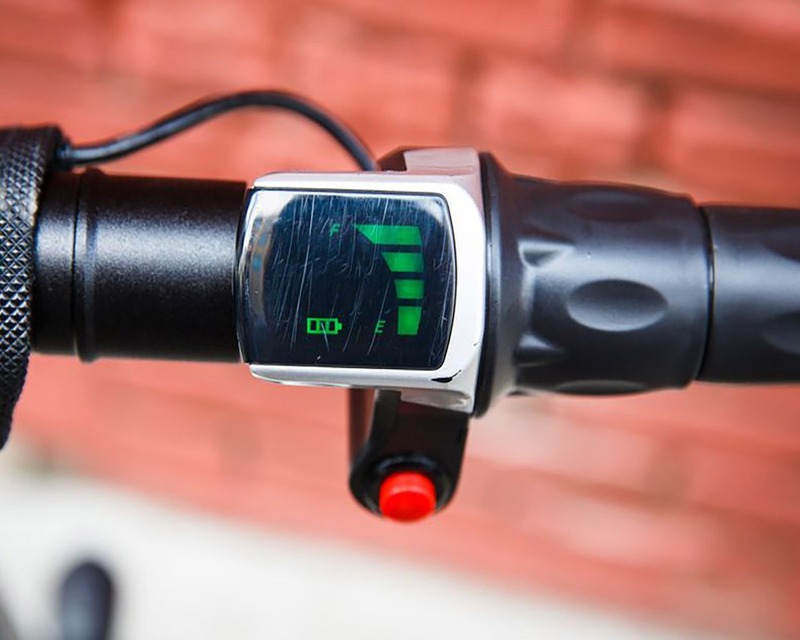 The bell will allow you to notify the people in front of you that you are overtaking. As for the battery indicator, Glion should have made it a bit more reliable since its readings are not always precise. Aside from the battery level, it would also be great if the display showed things like speed and mileage. The display only shows battery level, which is not always precise. The brake only works when the scooter is on. Q. How long is the battery’s lifespan? Ans: It should be around 1000 cycles. After that, you would have to replace it, which is quite costly actually since a battery is worth around $200. Q. What’s the charger’s input voltage? Ans: 110 – 220V, so Glion Dolly scooter is pretty suitable for traveling. Q. Where can I buy replacement batteries, chargers, etc. from? Ans: The easiest option would be to buy them from Glion’s website. You could look for them in local or online retail stores as well. Are you finished! Our Glion Dolly Review, then we are undoubtedly saying that you have enough data to make a decision right now. But think you should need more something about this electric scooter. Then, Let’s watch two of Glion Dolly video reviews. One is from Amazon and it’s official video. And another one is a particular Glion Dolly Review. Glion Dolly is a quite pricey electric scooter. However, when you put all the features together, you get an excellent product that is definitely worth the money. Sure, it has some downsides, but they are either minor or aren’t really avoidable with electric scooters. 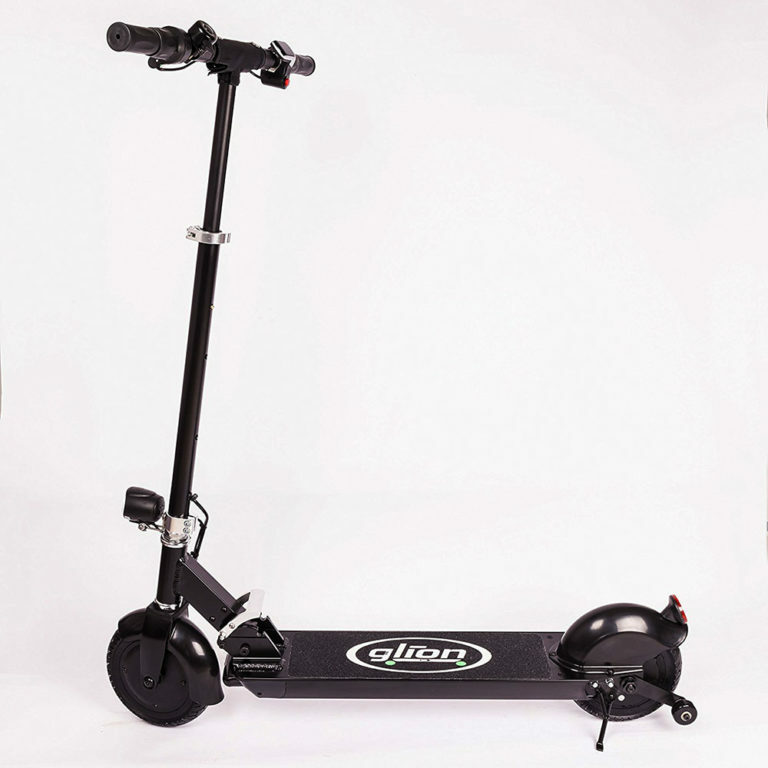 So if you find that Glion Dolly electric scooter is exactly what you are looking for, go and get it! And if you have any query about this Foldable Adult Electric Scooter: Glion Dolly Review or the Glion Dolly Scooter then don’t keep it. Let them burst out!